This golden age horror anthology comic has been rated 4.0 which puts it at a decent lower mid-grade, a very desirable rating for many collectors and fans of pre-code horror comics. It is important to note that there are two versions of this comic. 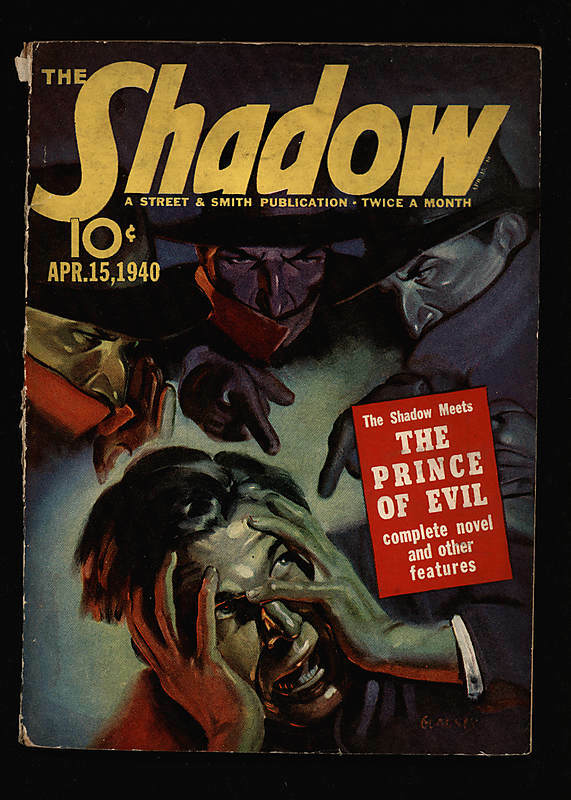 The original version was published by Atlas-Marvel in 1950, but Superior Publishing in Canada reprinted the issue later in the same year. 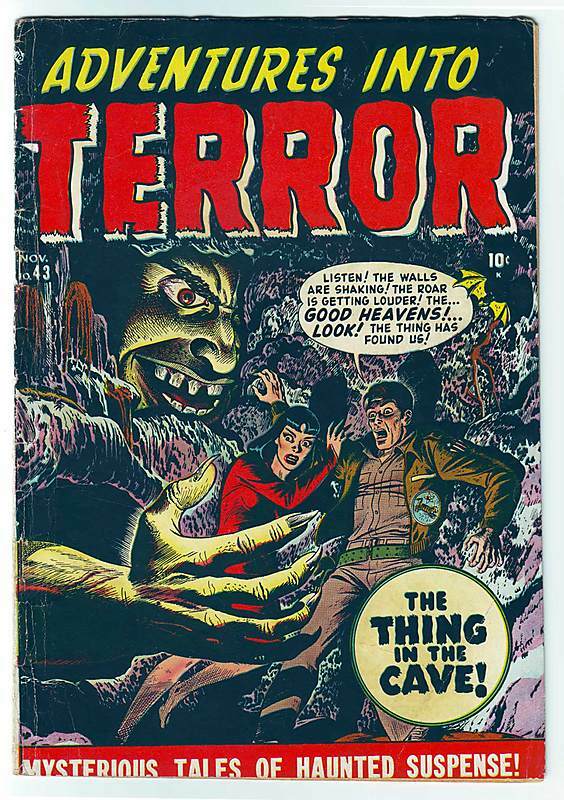 Click Here for more information on Adventures Into Terror 43. 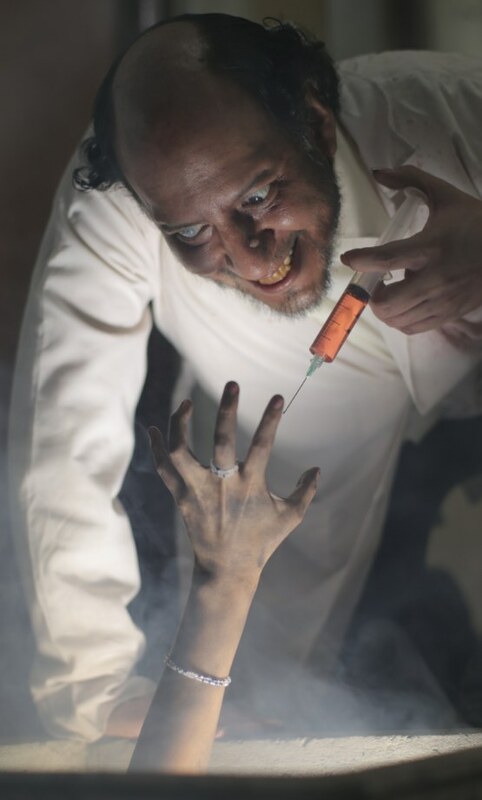 Reel Progress continues production of the feature length horror anthology movie WITCH TALES with director Mike Lyddon confirming that the second segment starring Raul Chamorro, Erick Lopez and Fiorella Vergel has wrapped shooting and production is underway on the third story. The film is scheduled for a theatrical premiere in October, 2018. Please visit the official Reel Progress website for further details. 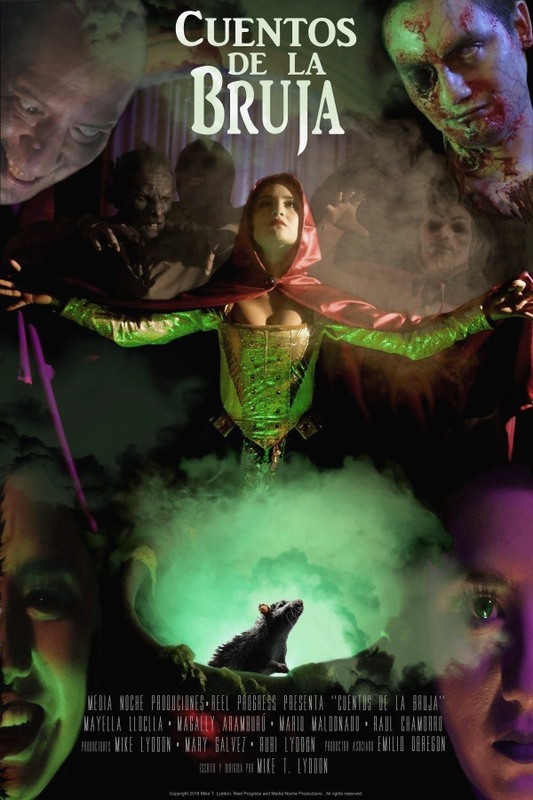 Filmmaker Mike T. Lyddon’s latest film entitled “Witch Tales” or “Cuentos de la Bruja” is now in production through June, 2018, with a limited release planned for October of this year. The film stars talented actress Mayella Lloclla in the lead role of the Witch who presents three tales of terror being filmed simultaneously in english and spanish language harkening back to Universal Studio’s original 1931 “Dracula” starring Bela Lugosi and his spanish counterpart Carlos Villarías, also shot in both languages. Director – producer Mike T. Lyddon is now in pre-production on his next feature film, a horror anthology entitled “Witch Tales.” The indie horror film will be shooting on location in and around Lima, Peru using an all Peruvian cast featuring the talented Mayella Lloclla. “We are shooting simultaneously in both english and spanish language in order to expand the worldwide market,” said Lyddon. Lima is home to many talented actors and crew people and I’m very excited to begin on this production. Casting is underway and production is set to begin in the spring of 2018. The feature length sci-fi horror satire FIRST MAN ON MARS now on GOOGLE PLAY and Microsoft XBOX. 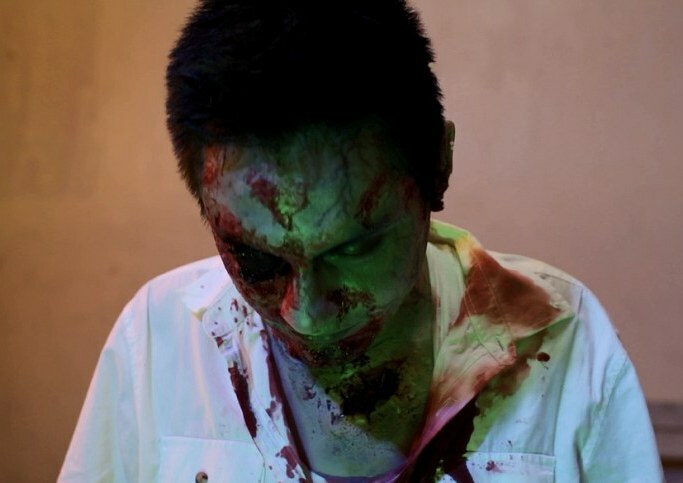 Mike Lyddon’s latest indie horror feature film hailed as a “Hilarious Parody” by UK Horror Scene and a “Great Sci-Fi Throwback” by Horror Buzz is now available online as a streaming video rental or download on Google Play and the Microsoft Xbox platform. 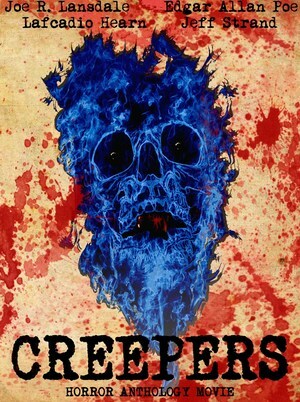 Creepers (2014) antologia de terror, ahora disponible con subtitlos en español! Cuatro cuentas de terror desde las historias de los escritores Joe R. Lansdale, Edgar Allan Poe, Lafcadio Hearn y Jeff Strand. Puede alquiler o descargar en Amazon hoy! 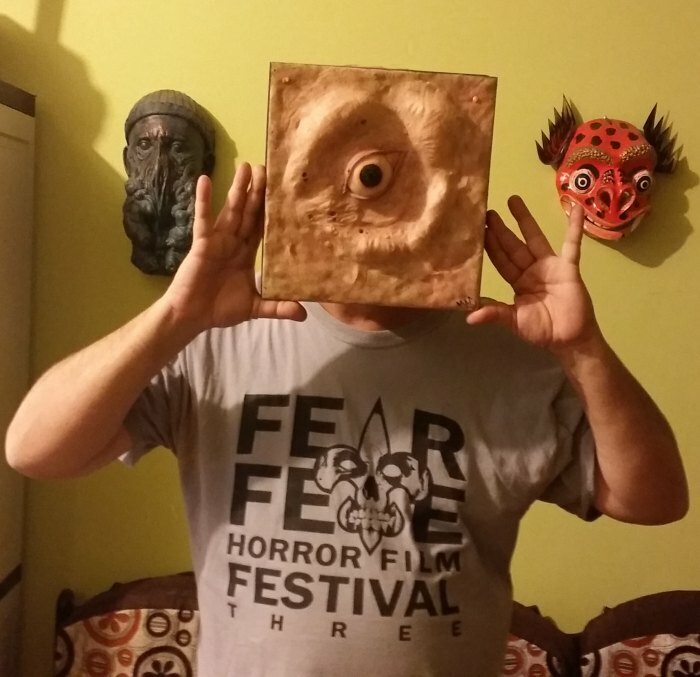 Filmmaker and founder of Reel Progress LLC, Mike Lyddon has been making no-budget science fiction and horror films for decades. In this new interview with Peter Hopkins of Horror Screams Video Vault, Lyddon discusses filmmaking over the years and his various cinematic endeavors.